Pakistan Foreign Minister Shah Mahmood Qureshi on Saturday called up hard-line Kashmiri separatist leader Syed Ali Shah Geelani, in yet another provocative act on the eve of Prime Minister Narendra Modi's visit to Jammu and Kashmir. During the phone call, Qureshi discussed the situation in Kashmir with Geelani, according to ARY channel. 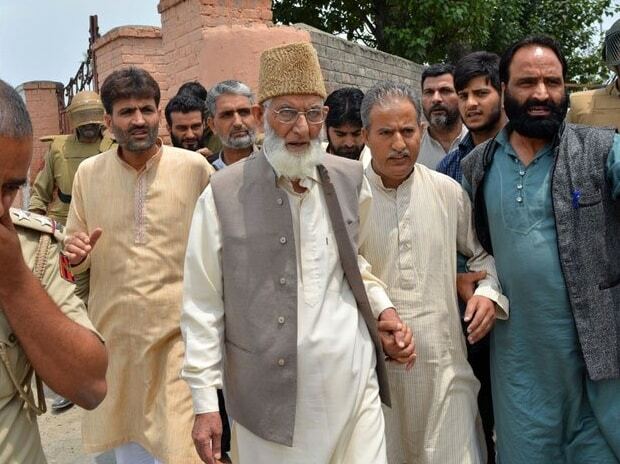 Geelani is the second Kashmiri separatist leader whom Qureshi called up in the last few days. Earlier, he had a telephonic conversation Hurriyat chief Mirwaiz Umar Farooq. India took strong objection to that phone call and Pakistan's High Commissioner in New Delhi Sohail Mahmood was summoned by Indian Foreign Secretary Vijay Gokhale to lodge a protest. Gokhale bluntly told Mahmood that Pakistan should desist from such provocative actions, failing which there will be "implications". Significantly, Qureshi's phone call to Geelani came just a day ahead of the Prime Minister's visit to the state. Prime Minister Modi will launch several developmental projects during the day-long visit.